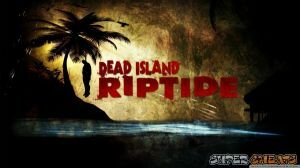 Dead Island Riptide is a direct sequel of the 2011 action role-playing survival/horror title, Dead Island. The story continues with the original four playable immune survivors as they get washed up on another zombie-infested island in the Banoi Archipelago. A fifth immune survivor who is an adept for hand-to-hand combat will join as a playable character. The overall combat, weapon and skill system are entirely the same, with a few tweaks. Players can now improve their efficiency in various weapon categories to earn bonuses just by continuously killing and using weapons in their respective categories. Players can also import their characters from the original game to carry over their skills and level. Aside from the usual quests and sidequests, players can also complete Team Quests. These are given by your teammates and other survivors and will improve their chances of survival before moving out. This guide will cover the main quests, sidequests, collectibles and an Achievement Guide.